Following the success of the Pub2Pub Expedition, an epic 27,000-mile drive from the northernmost bar on the planet, to the southernmost, the longest journey ever made by a TVR sports car, Pub2Pub Adventures was born. 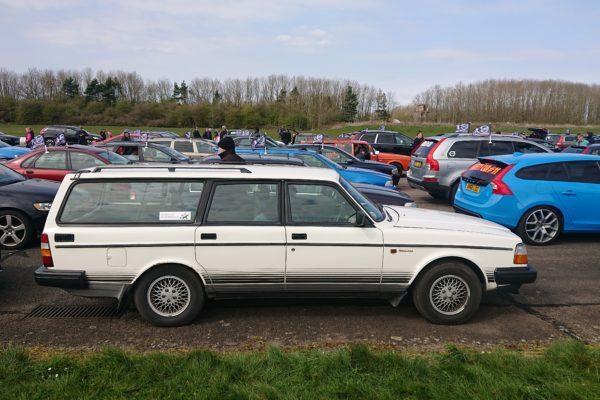 Giving others the opportunity to enjoy their own Pub-based travels, Pub2Pub Adventures are running three great trips this year – the Eagle Rally, the Camembert Run, and the Space Race, with many other exciting projects in the pipeline. ClassicLine are delighted to be a main sponsor of Pub2Pub by providing insurance cover for the fleet of cars including the TVR Chimaera, the Volvo 240, plus another exciting vehicle which is currently top secret… Ben and the Pub2Pub team are going to be keeping us updated here in their regular blog feature over the coming months with news on their travels and adventures! In celebration of our partnership, Pub2Pub Adventures are offering you the chance to save £50 on your 2019 trip when you insure with ClassicLine. For more details, click here. 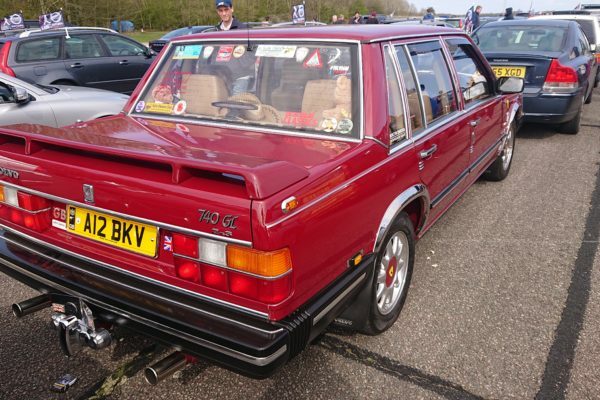 I first heard about #Volvo600 in the depths of winter. 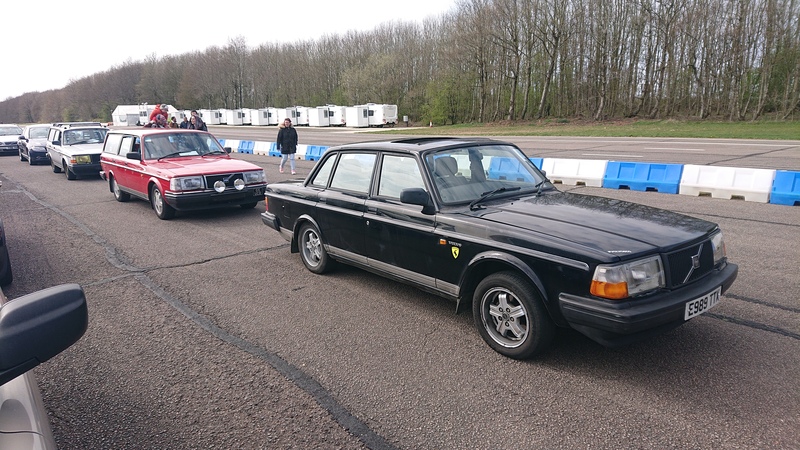 A plan to welcome in the spring with a gathering of Volvos, set a new Guinness World Record and raise money for cancer charities in the process. 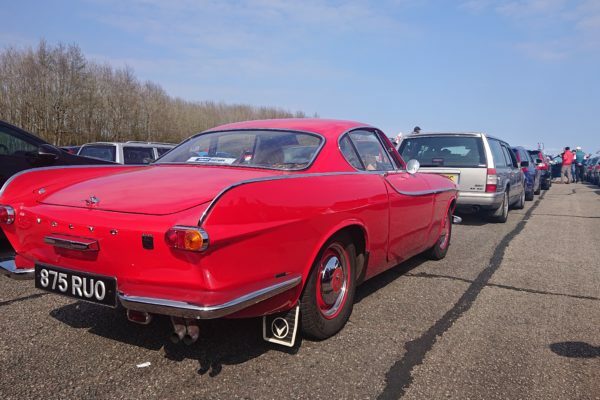 And evidently, the organizers weren’t doing things by halves – they’d already booked Bruntingthorpe airfield and got their publicity drive running on all cylinders. 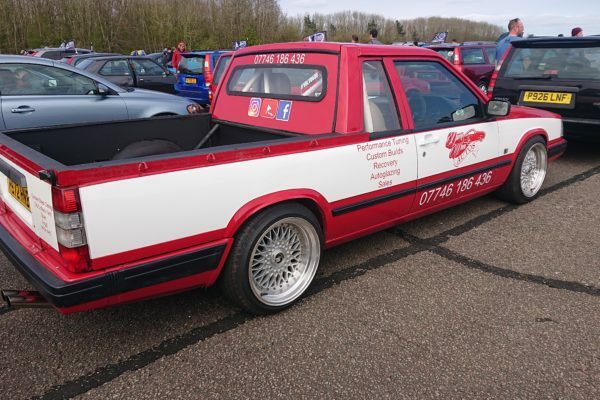 With several months still to go until the big day, the social media excitement was in overdrive, people were already stickering up their cars and random retro rides up and down the land were being leafleted, inviting them to the event. This was going to be big. 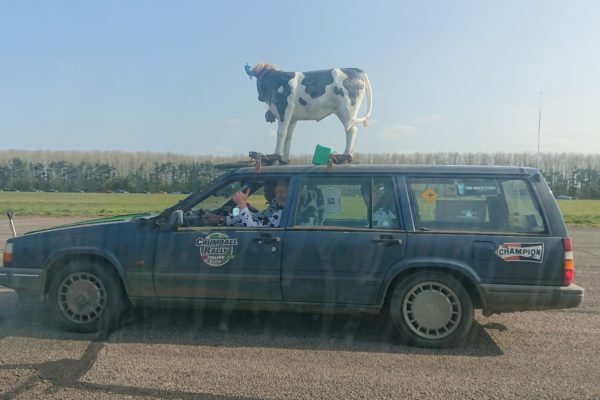 And as the days counted down to the event, the excitement within the Volvo fraternity continued to grow, reaching fever-pitch as a good weather forecast was confirmed, and the first enthusiasts began to hit the long road to Bruntingthorpe. How long? 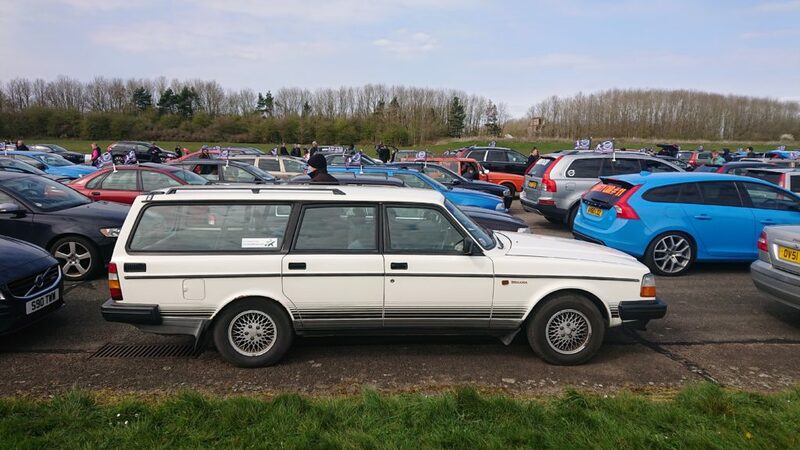 Well, there were people travelling from as far afield as Serbia and Italy to be there, which shows just how big #Volvo600 promised to be. There was no question – we had to join the party. 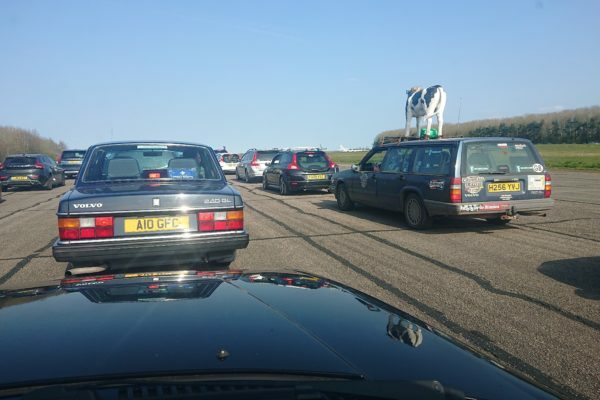 On Sunday morning we joined the 25-strong convoy from the South West to the event, our trusty ClassicLine-sponsored Volvo 240 sharing the motorway with everything from a ratty Volvo Amazon to a brace of nearly-new Volvo C30s. 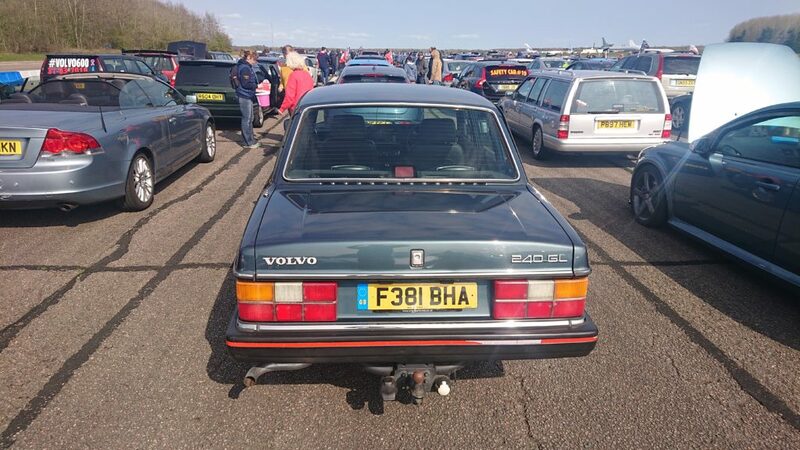 Oh, and there was a V40 there too, which had travelled all the way from Belgium to take part. 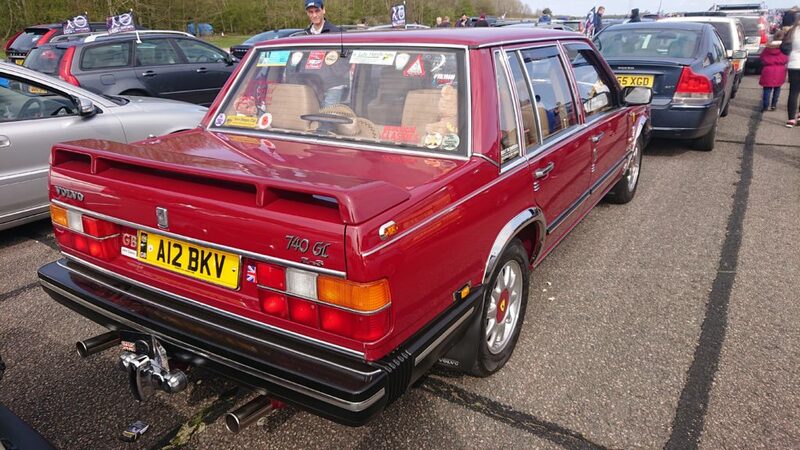 Yep, Volvo enthusiasts are certainly a dedicated bunch, if slightly unhinged – in a good way. 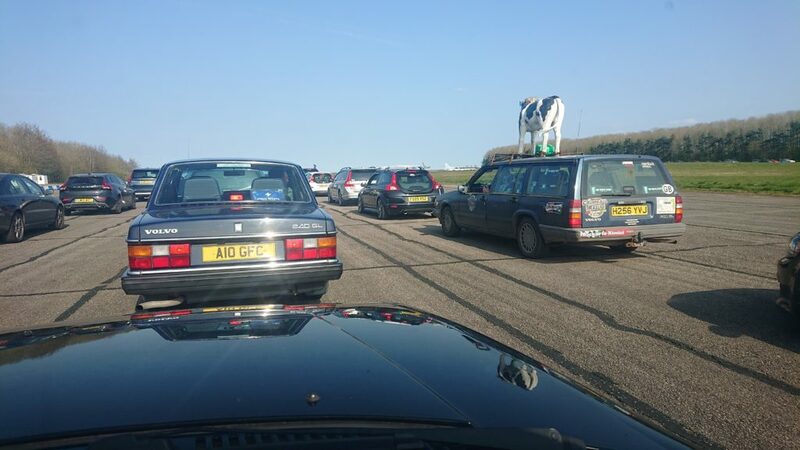 At 1pm, our convoy reached the airfield, and what a sight it was! 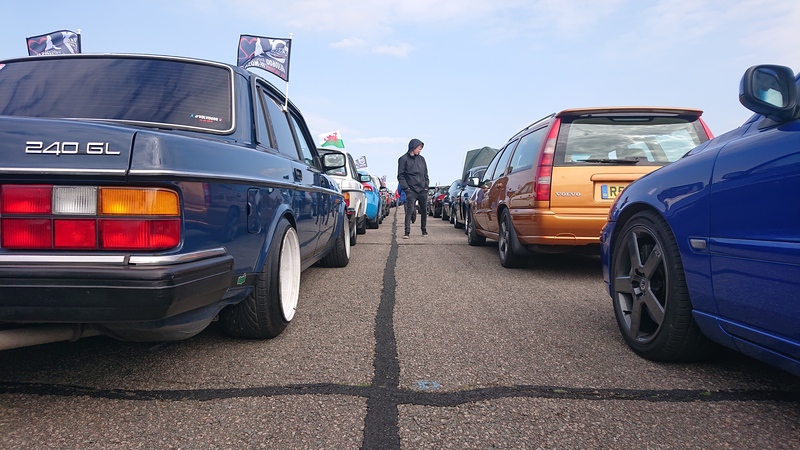 Seemingly the entire runway was already packed out with the marque, a 6-deep salute to Swedish engineering which stretched away to the horizon. 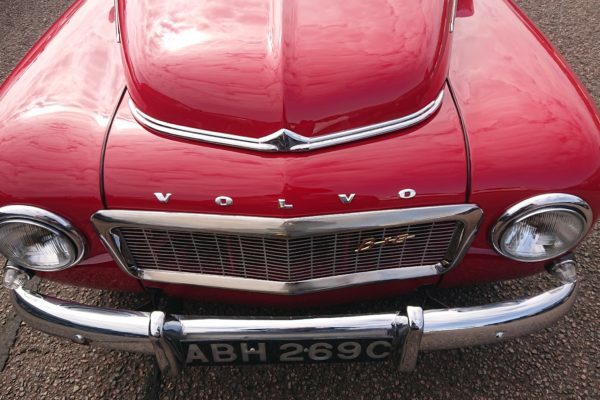 Every car from Volvo’s history was represented, and every state of modification was present. 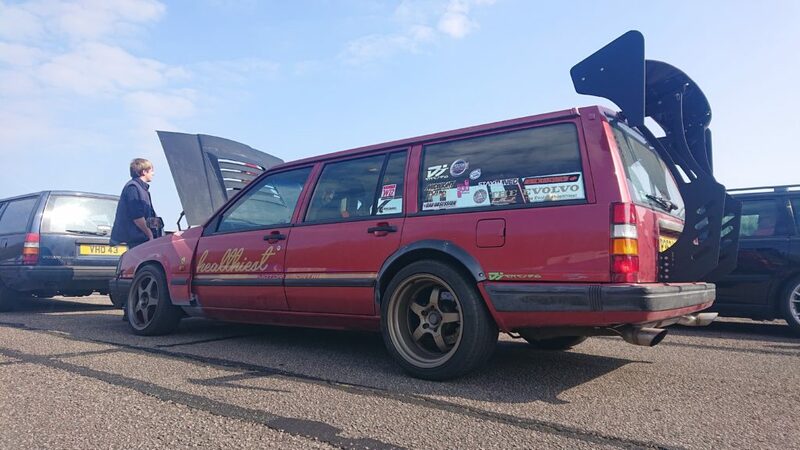 There aren’t many car events where seeing a family estate with a couple of child seats in the back next to a slammed-and-turbo’d track monster with a surfit of ‘SwedeHunters’ logos seems completely natural, but this was it. Everyone was welcome. 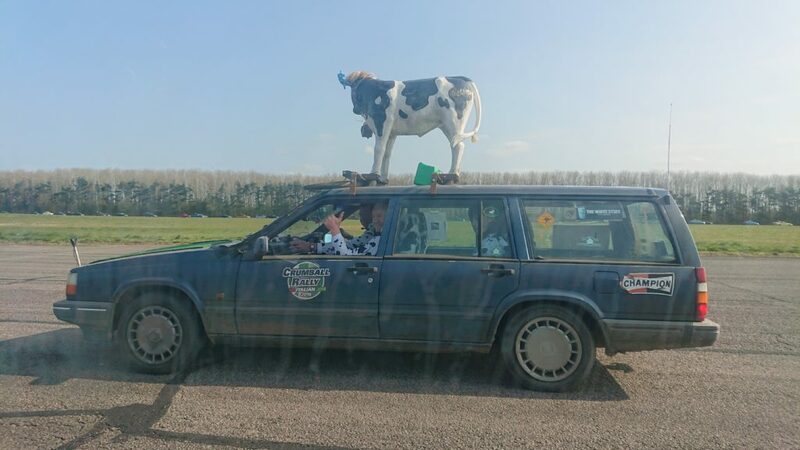 Even the passer-by who found himself stuck in the event traffic in his V70 and, noticing that the jam was entirely Volvo too, went with the flow to see what was happening, and ended up spending the whole day there. So, what did the day involve? 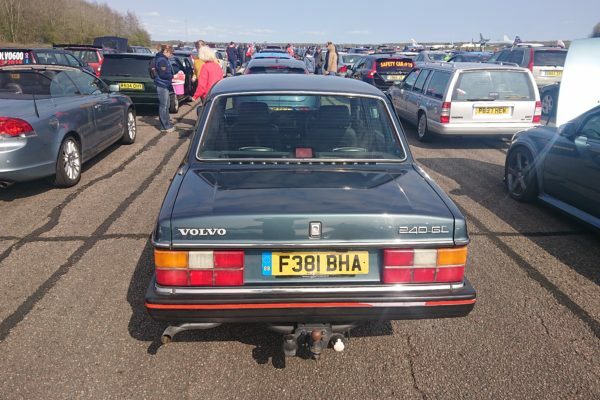 Well, getting well over a thousand Volvos onto the site took a fair while, but this was a bonus in a way, as it gave plenty of time to look around the assembled vehicles before the record attempt – which required everyone to form up into a convoy and complete a one-mile lap of the airfield. 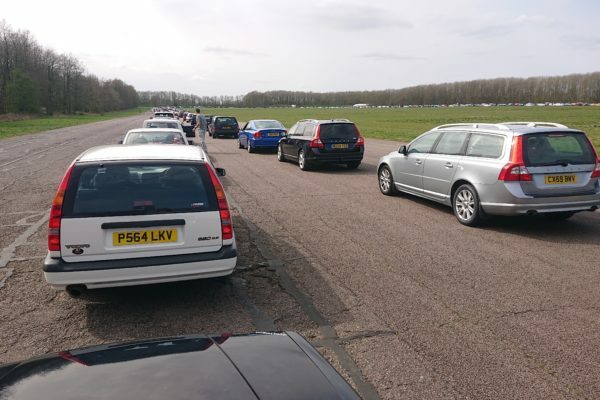 Such was the turnout, this lap took about an hour, and resulted in that rare occurrence at car meets – the manual drivers being jealous of those with autos. 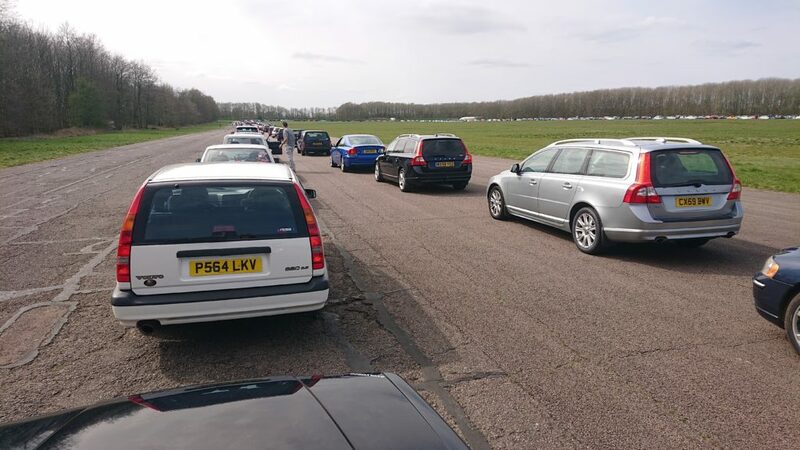 But the lap was completed, and everyone seemed to make it around without any major problems – even the ‘940 which seemed intent on laying down a smokescreen across the airfield – and the initial counts suggest that over 2,000 cars made it onto the airfield, with 1,438 registering and being recorded completing the lap. 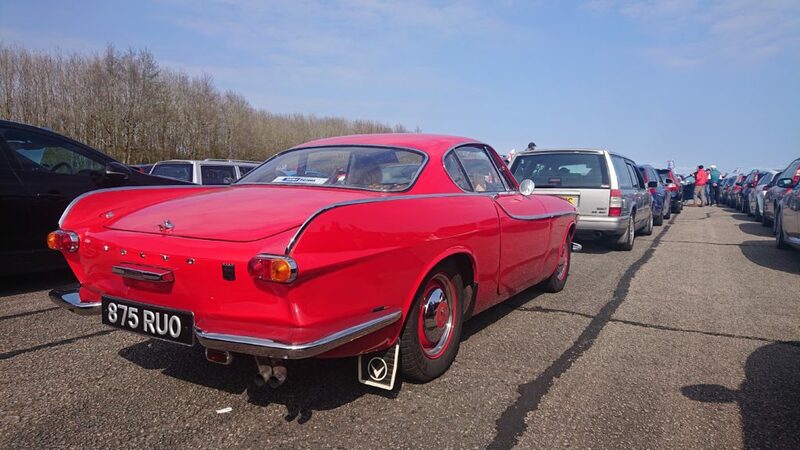 Given the previous record for the largest number of Volvos in convoy at one time stood at 570, I’d say it’s in the bag. 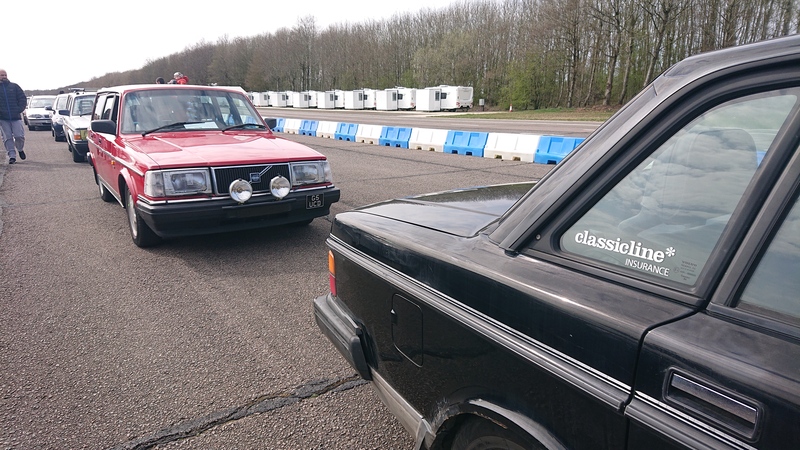 But as well as setting records, #Volvo600 was about fighting back. 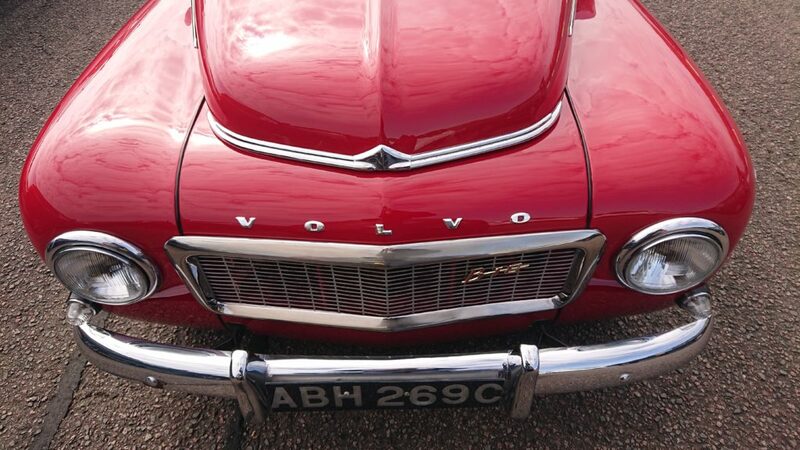 Last year, many of the UK’s Volvo clubs were left poorer by cancer, with several of the community’s leading lights being lost to the disease. 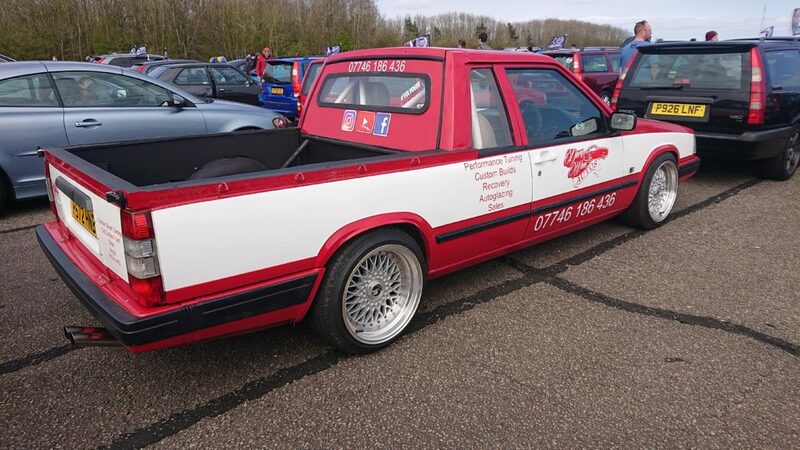 As I write, it looks like the event will raise a five-figure sum for cancer charities, those club members who are sorely missed will have been given a fitting tribute, most touchingly in the case of the John ‘Nosh’ Ronie, whose ashes completed the record-breaking drive. So that was the first day of summer – a world record broken, a good cause supported, and many hearts touched. 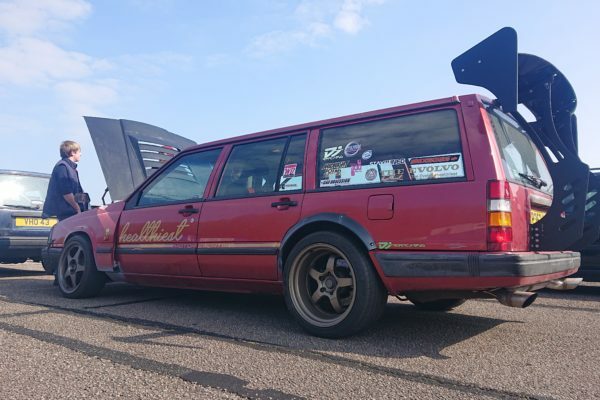 In what must be its finest hour, the Volvo community can truly hold its head high.